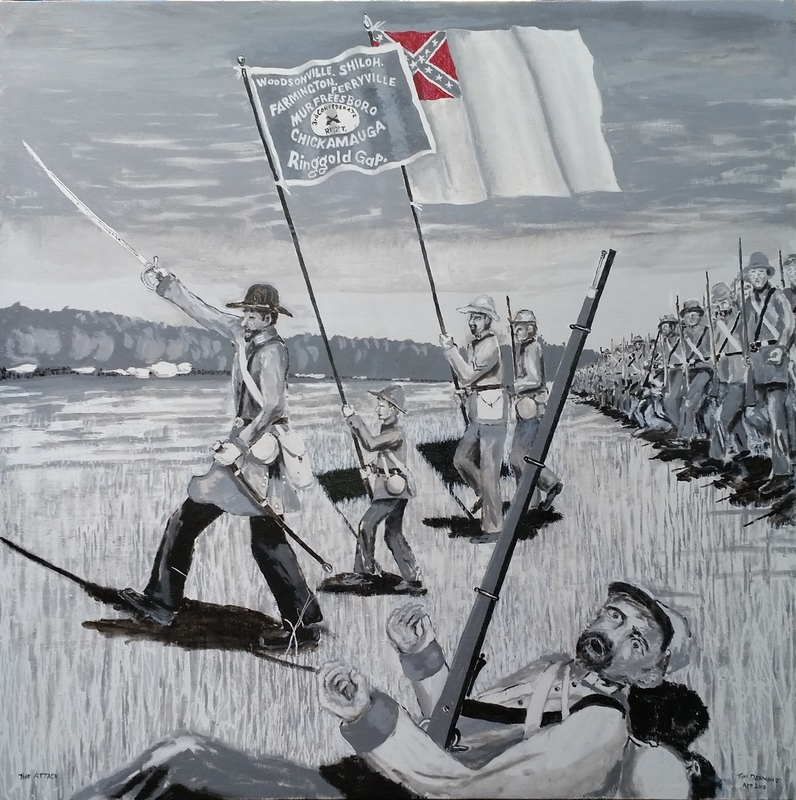 3rd Confederate Infantry Regiment in Cleburne’s Division in late Atlanta Campaign 1864. On Thursday, September 24, the artist was called to pick up the painting with the explanation that under California’s state law, the local fair district cannot hang the painting to be shown. California’s fair districts are a state run entity and fall under the 2014 law AB-2444 and cannot sell or display Confederate flags and symbols. The fair people the artist talked with were sympathetic and showed the June 2015 letter from the State of California that was mailed to all fair districts and to all vendors and concessionaires who are operating their business at California fairs. The artist asked if he was considered a vendor or concession as he was not selling the painting. The reply was no, that the fair cannot display it. He asked for a copy of the letter and was told that they would mail him a copy. He was also told that the fair people had petitioned by telephone call to the California Fairs Director in Sacramento, that the painting depicted an historical scene, and also contacted the state Attorney General. It seemed that everyone’s hands were tied by the legislation. At some point someone in Sacramento had to have decided that the historic depiction did not matter. An act to add Chapter 2.9 (commencing with Section 8195) to Division 1 of Title 2 of the Government Code, relating to the Confederate flag. AB 2444, Hall. Confederate flag: sales: government property. Existing law regulates the sale of certain merchandise, including political items and sports memorabilia. This bill would prohibit the State of California from selling or displaying the Battle Flag of the Confederacy, or a similar image, or tangible personal property inscribed with those images, unless the image appears in a book, digital medium, or state museum that serves an educational or historical purpose. 8195. 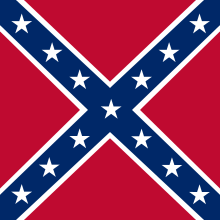 (a) The State of California may not sell or display the Battle Flag of the Confederacy, also referred to as the Stars and Bars, or any similar image, or tangible personal property, inscribed with such an image unless the image appears in a book, digital medium, or state museum that serves an educational or historical purpose. (b) For purposes of this section, “sell” means to transfer title or possession, exchange, or barter, conditional or otherwise, in any manner or by any means whatsoever, for consideration. “Transfer possession” includes only transactions that would be found by the State Board of Equalization, for purposes of the Sales and Use Tax Law, to be in lieu of a transfer of title, exchange, or barter. As well as the legislature not understanding the 1st Amendment of the US Constitution, notice also, that the law erroneously refers to the “Battle Flag” as the “Stars and Bars.” In the painting is the “Second National” Confederate pattern. The black and white painting was done for a local art show called “Black and White Show” in May 2015. 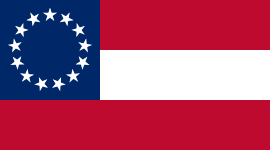 Red was added to the Confederate States’ Second National flag’s canton in June. It has been a term that I used to see in research articles or books about intelligence agency practices. One of my first memories or awareness of vetting that was used in private industry, was the complaint by established media reporters, news writers, and TV journalists. The complaint was about bloggers. I suppose it was about the time that bloggers were being quoted, on the air. It ran along the lines, that “bloggers are out there in the blog-i-sphere whom we do not know,” and “they are blogging information contrary to what main stream media was reporting,” and, …. “we simply do not know who these people are.” Then, “these bloggers are not vetted,” presumably by the established media. More recently, there was a Brian Lamb C-SPAN “Book Notes” interview of a history professor. The professor complained about the self-published historians who “were not vetted” by the scholarly process of university historians. There were media bloggers too, but, there was an explosion of “other voices” in the mid 2,000s years. About this time I was interviewed by one agent at a conference. It was short and he seemed to like the book I pitched to him, and he said to “send it to the agency” and to his partner a lead agent. [I thought that was hopeful, but later I realized that I was blown off.] 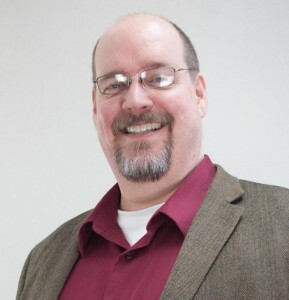 This same agent later hosted and led a breakout session entitled “The Agency –Publisher – Writer Relationship.” His main point during the session was that the “agents vet the writers” for the publishers. There it is. Another angle on all this has been said many times. Also, there was “the catch.” To get traditionally in print by a big house, you need an agent – to get an agent, you need to be published. An agent wants published writers. An e-world revolution, of sorts, is going on, has been going on. E-writers and self-publishers are by-passing the agent/publisher vetters. 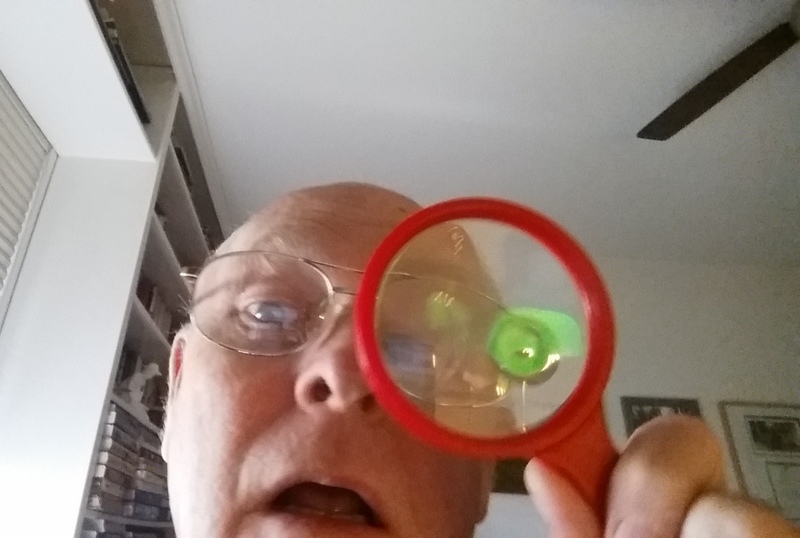 Who decides what is good, readable, correct, or entertaining? “Readers” is the obvious answer. The other question is, does this affect the marketing? And, do your credentials matter? Called Speed Dating for Readers #4 Life is a Cupcake. She really is a cupcake. The other authors she highlights are pretty awesome. Let her know what you think. As usual, the data is graphic and easy to interpret. Plus, it is another learning experience just reading the comments. Fascinating. Camp 1804 genealogist Bill Lee speaking. This was last Saturday on April 25, at Calvary Cemetery on Belmont Avenue, Fresno, California. Jerry Ryan and his father were railroad builders in Houston, Texas. Before the Civil War they built the railroad across Cuba. 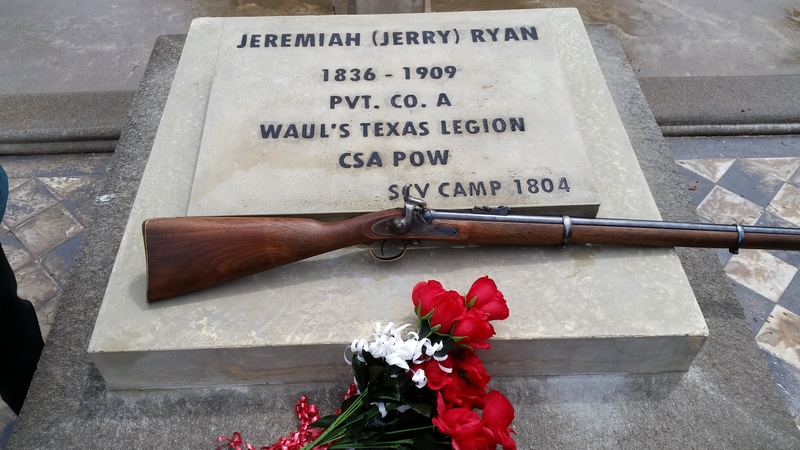 Before the Civil War he married in Texas, and When Texas seceded in 1861, Jerry joined Waul’s Texas Legion. Waul’s became a trans-Mississippi unit in the Army of Tennessee, as did many regiments from Arkansas, Louisiana and other Texas regiments. Early in the war Jerry was captured at the battle called Shiloh, and sent to Rock Island, the Union prisoner camp, Illinois. 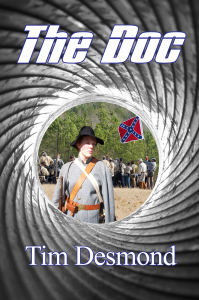 He was part of a prisoner exchange and either returned to Texas or returned to another Confederate unit. After the war he continued railroad work, and was working on railroad in Oregon. He came to Fresno to build the railroad there in 1873. Ryan was first section foreman for the Southern Pacific in this locality and by his industry and shrewdness soon accumulated enough money to start him in the hotel business. In 1874 he ceased the railroad business and remained in Fresno. He was most likely a member of the Price Camp of Confederate Veterans, as other notable members were Doctor Muex, Doctor Henry Hopkins, and others. One other was a Confederate he had met at Rock Island, Illinois and exchanged with him. That was Fresno’s first County Sheriff, J. D. Collins. They became life-long friends and died a year apart, Ryan in 1909, Collins in 1910. 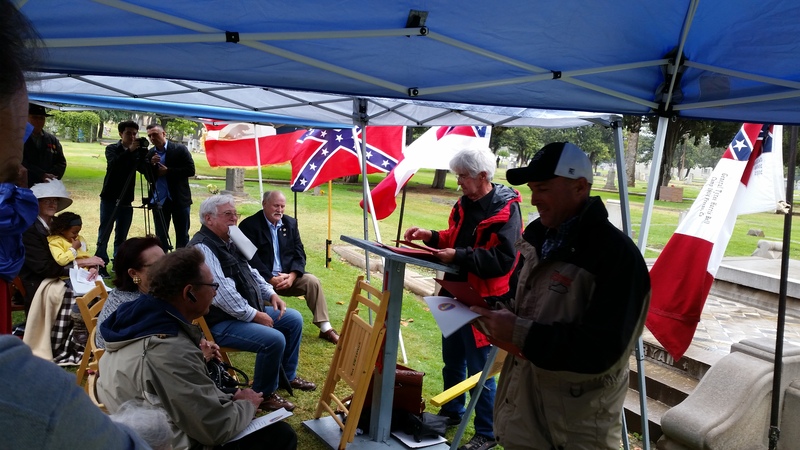 The memorial was hosted by the Sons of Confederate Veterans local General Tyree Harris Bell Camp #1804. General Bell probably knew Collins and Ryan also, as he farmed in what is now Clovis and Sanger, and is buried at Bethel Cemetery in Sanger. The Sons of Confederate Veterans genealogical organization is dedicated to preserving the memory of Confederates and their history. I’m in a posse. I have been for a while. We are lead by our author friend Sunny Frazier. We first met at an author event at Chowchilla Library. I am not sure if the “The Posse” was formed at that time or not until later. Somehow I was in. We have a main concept of using some sort of clout with improving our promotions and marketing, as well as entertaining one another. One of those tools is blogging. 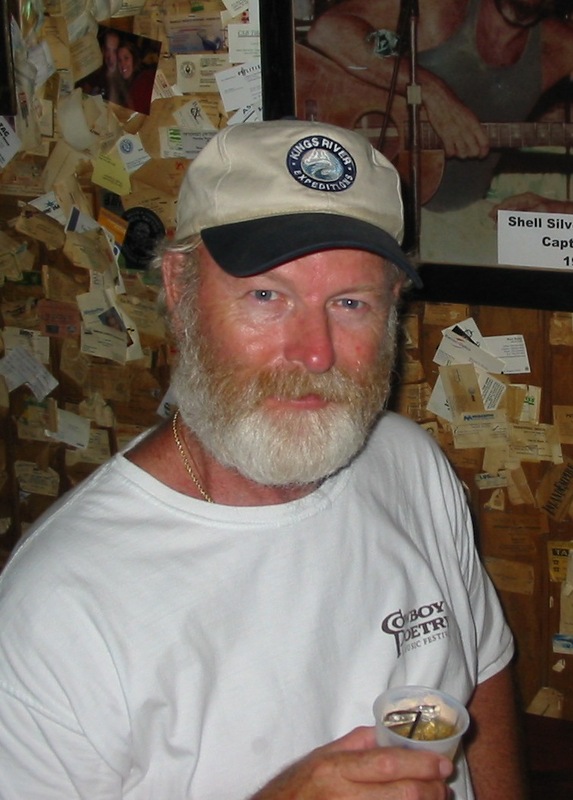 For example we were referred to another blog and author by Anne R. Allen. In a recent blog by Anne R. Allen, there is a list of ten reasons to blog. While all the points there are good and right, Number 9 had struck me. First I had to look up what “garret” meant. I know, I know, but it is what it is. I was working the day job, and there was only one other writer on our staff, and he was published with a Carnegie-Mellon award. He told me that writers need to be around other writers. I understood that, but it wasn’t something that could change the situation, without relocating, quitting work, and, well, all the impossibilities. It was something that grew though. He had started a blog because his friends had told him that he should. That was around 2003. He didn’t up date it as often as he could or should have. But I never forgot his advice. Have not written anything in over a week. Sounds like a personal problem, and it was, or still is. Story here? Today I am back to being “Pool Boy” again. 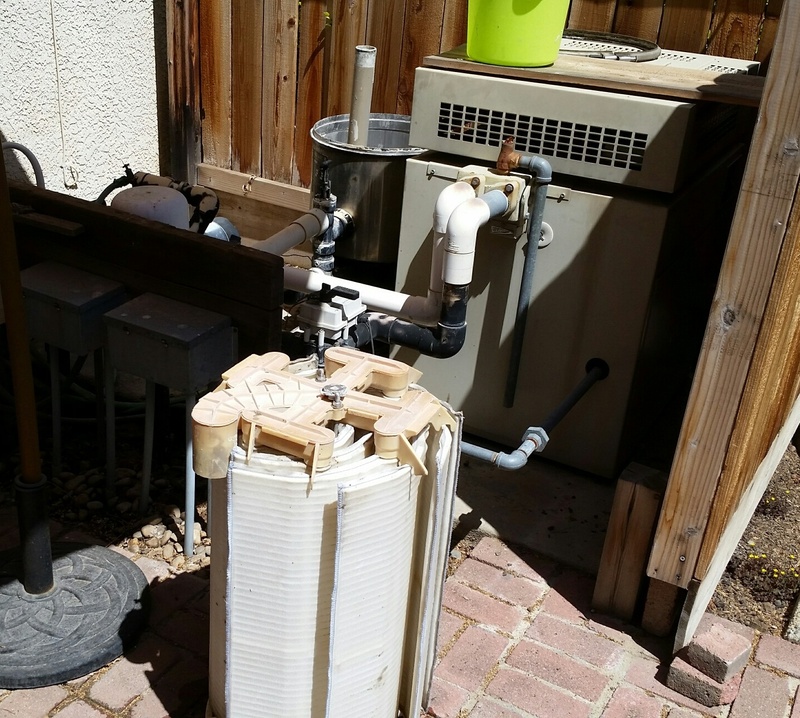 Six month cleaning of filter tank is the norm. Last summer I rebuilt the backwash valve stack. It leaked from the top seal. Now, I can’t remove the backwash valves to do a new repair. Pool is running and clean, but, still have the leak. May have to call a guy. One more piece on numbers and stats, if you will, is on another reference that I happen to come across. If the previous “Triggered Book Study” was of mild or of any interest at all, this next reference is from a more studied source in the industry. THIS STUDY by Hugh Howey IS DATED AS A YEAR AGO IN February on: February 12, 2014. It is of importance to anyone connected with this business, but I think it has merit and interest for anyone involved education, teaching, teaching reading, and the obvious ….. if you are in retail and wonder how the closing of book stores and markets means something. I’ve saved the study in my own files, but in the interest of “not plagiarizing” I am putting the link here. After reading that, what do you think?